Wouldn’t it be great if you could find people all around the world willing and even eager to offer you a place to sleep in their home? What if some of them even want to share a home cooked meal and offer tips for local activities in their town? This is the idea behind hospitality lodging, a sharing economy service that offers travelers the chance to save money and meet locals. (This is an update to a post I wrote back in 2014). The story of hospitality lodging isn’t all roses and kindness; there have been some controversies over the largest and oldest clubs, and some concerns that what was once a friendly way to meet people and share cultures is now taken advantage of by people only looking to hook up. In spite of this, there are a number of variations on hospitality lodging and I think this system is still very accessible and can offer great (cheap) experiences for all sorts of travelers. The most well know of the hospitality lodging services is Couchsurfing. When I first heard of Couchsurfing I wondered why someone would offer me a free place to stay and expect nothing in return. But I’ve learned that hosts get a lot of joy out of meeting new people and traveling vicariously through their visitors. Some people who can’t travel at all (health, family, financial or other restrictions) can become part of a travel community through hospitality hosting. And those of us who can travel feel good about providing the hospitality to others that we’ve enjoyed ourselves. There’s a lot of trust required to host someone in your home just based on an email request. But some of the hospitality websites provide ways to mitigate this risk, including reviews of both hosts and travelers and verification services. In addition some hosts set rules so that travelers can not be in their home alone. Of course nothing is going to ensure your safety 100% (either as a host or traveler), but the same could be said about staying in a hostel or even just walking down the street at night. 1. Home Exchange Hospitality – This service is offered on some home swap websites as an alternative to traditional home exchange. Members can opt to host other members in exchange for future reciprocal hosting. This is a nice option for home exchangers in the case where they can’t find a simultaneous swap and are not able to vacate their home entirely to facilitate a non-simultaneous swap. Many people report making friends through this form of home exchange. This is the only reciprocal hospitality lodging system. 2. Free Hospitality – People can sign up as either a traveler, a host or both. The websites are used to find a place to stay anywhere in the world that hosts live, and use is free. There is no expectation of reciprocal hosting. Most members on these networks will both host and travel, but it is possible to join and just be a host or just be a traveler. Couchsurfing is a popular example of this type of service. 3. Hospitality for a Fee – This service is similar to the traditional free non-reciprocal hosting but people pay a fee for each stay, directly to the host, bringing the arrangement closer to an AirBnb type experience except that the websites usually have a specifically defined community, and significantly lower prices. 4. Hospitality for Hosting – Similar to home exchange hospitality, in this system users are expected to host for the same number of days that they use the service as a traveler. However the hosting can be for any member, so it is not reciprocal. Below is an overview of most of the websites for hospitality that I’m currently aware of (not including home exchange). I excluded a few from this summary because their websites seemed dodgy or because I wasn’t certain they were really still active. For my most up to date list of hospitality lodging sites check out my peer to peer services spreadsheet and select the lodging category. For a list of all home exchange sites see this spreadsheet. Couchsurfing is the largest and most well known of the hospitality services. They claim over 12 million members in 200,000 cities. Started in 2004 as a community of travelers and friendly non-travelers who would informally host one another, Couchsurfing has helped millions of people find free lodging while traveling. It has developed into a community where travelers can meet one another and meet locals through many events hosted in cities around the world. 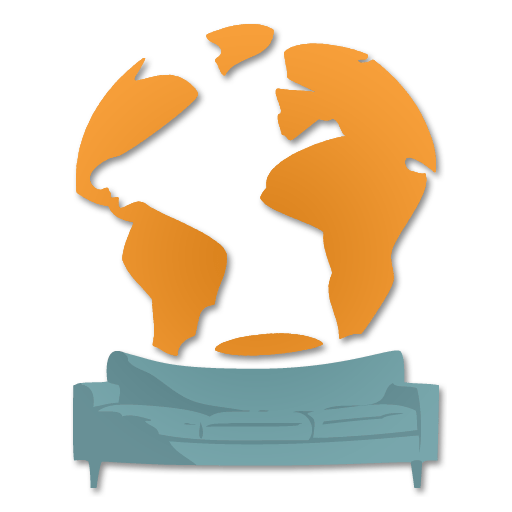 Couchsurfing has also faced a lot of criticism over the years, and has transformed from a non-profit into a privately funded organization. I have to mention here that some people report that couchsurfing has turned into sexsurfing for a some of the users; an easy way to hook up for both host and traveler. This doesn’t mean it’s unsafe, but users should not be surprised if they are offered a one night stand as a part of their “hospitality” experience. BeWelcome is an alternative to Couchsurfing, a not-for-profit, open source project that encourages sharing lodging and also offers trip planning resources. Formed in 2007 as a split off of Hospitality Club based on disagreements with the HC leadership, BeWelcome is run entirely by volunteers and currently has over 100,000 members. Hospitality Club was formed in 2000. The site is filled with ads, and rather difficult to use but claims over 700,000 members in 227 countries. As mentioned above, there was a split over the decisions of leadership that led to formation of BeWelcome. Be Lodged was formed in 1999 and is run by a professional team but charges nothing to the users and allows the community to shape how the system works. In 2014 I counted 11,000 listings worldwide. I can’t find anything on the site to update that number. Warm Showers is for touring cyclists around the world. This site has 60,554 hosts listed. Jewgether was founded in 2009 to connect Jewish folks with each other for hospitality hosting around the world. Horizon helps you find free lodging within your network of trusted friends and communities. Users are encouraged to make a donation to Kiva as thanks to their hosts. Trustroots was built for hitchhikers but is now open to anyone. They currently have over 25,000 members. Evergreen Club was formed in 1982 and offers hospitality lodging to people over 50. There is a $75 annual fee, and 2 people traveling together pay a fixed rate of $25 per night for lodging and breakfast ($20 for one person). Affordable Travel Club is for travelers over 40, and operates on a model similar to the Evergreen Club. They charge $65 per year with a $15 “gratuity” paid to the host each night. They offer discount memberships to people outside of the US, Canada and Mexico but still have few members in other countries. Current membership is 2400. Servas is probably the oldest hospitality travel organization. Founded in 1949 by a peace activist, the organization focuses on connecting travelers with hosts and puts a lot of work into verifying everyone (in person interviews and letters of recommendation required). There is an $85 annual fee for travelers to join the network. They also provide volunteer opportunities and other ways to connect with the Servas community. Women Welcome Women is, as the name implies, an organization for hospitality between women. Formed in 1984 it has grown from a UK focused group to a global organization with 2200 members in 70 countries. The membership is £37 per year. Members are encouraged to reach out to others for information, hosting, friendship and travel assistance. Staydu offers both paid and free hospitality hosts, as well as a work for lodging option. The website is quite slow and browsing through the free options I mostly see hosts who want money or work, but perhaps this is negotiable by host. The site has over 4000 listings. Global Freeloaders is run by an Australian guy with the expectation of equal give and take. However many nights you stay is the number of people you should host. You sign up in 12 month blocks and list your availability as a host in that time. Hospitality Exchange – members must provide 1 to 2 nights hosting per year. The cost is $20/year and this group has been around since the 1960s. They have about 500 members and are mostly in the US and Canada. Motostays offers hospitality exchanges for motorcyclists. If you sign up to host you are eligible for free lodging, alternately you can pay a fee to just use the lodging services without hosting. Holiday Swap: fake listings or bad vetting? Hospitality Club is mismanaged and totally worthless. I just wasted 2 hours checking out member profiles for 4 cities I’m thinking of visiting in Europe. About 90% of all people listed have NOT logged in for 3-10 years!!! So they are not really members. I logged in to update my own profile. It shows my name, address, city, etc., but it hides my email address from me, the progile owner! It says I joined in 2003 and I think I signed up with an email that I abandoned 6 years ago, but I now can’t update it. This might explained why so many people have quit logging in. One of the cities I searched has over 2,000 members so I clicked “sort by last login” in the menu bar and the results were totally random, NOT listing the most recent logins. Thanks for the updated info Erik!